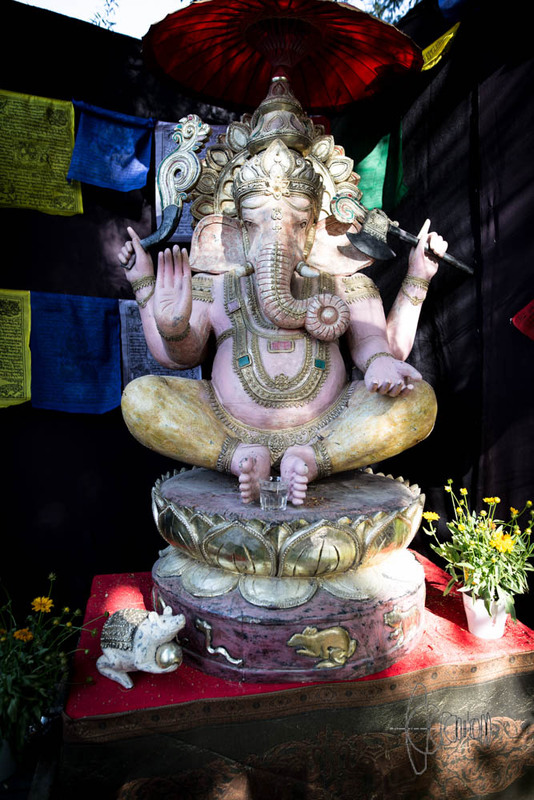 A sculpture of the Indian god Ganesha. I wondered about the glass and asked an Indian guy standing by. He was not sure about the glass of water standing to Ganeshas feet either. Is it an insult or rather a present?